Lamus Dworski – Uncovering Poland: folklore, customs, mythology, legends, history, and more. Uncovering Poland: folklore, customs, mythology, legends, history, and more. There’re certain modern connotations and a definition of what a ‘trance music’ is – but here I want to use that term in its traditional/native meaning, and to introduce the traditional type of music coming from the heart of Poland: the rural mazurkas. I’ve been thinking long how should I call this type of music in the English language (I might not know a better term for it because it isn’t my native language) but eventually I decided that ‘trance music’ fits the most after all. The music I want to show you was putting the dancers into an almost hypnotic state, it comprised of [relatively] fast beats, and was played for various types of rural festivities and social events set in the old Polish countryside. In a way, I think that some elements of the definition of ‘trance music’ still fits with this old music – anyways, let’s jump to the introduction. 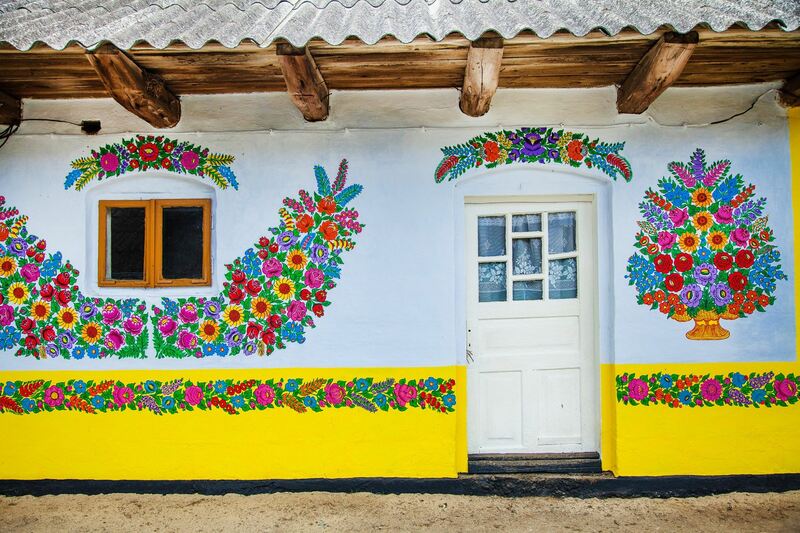 Many of you might’ve already heard about Zalipie, a small village in southern Poland where an old custom still survives nowadays: houses are decorated in rich flowery patterns both on the inside and outside. Today I want to describe a short history of that custom for you, and also to show a few examples of similar decorative folk art in the other regions of Poland from the past. Painting the interiors of cottages – and in rarer cases the exteriors as well – is an old tradition known from many rural regions of the Eastern and Central European countries, including Poland. In a lot of documented historical cases from around 100 years ago the painted patterns were rather simple in form and their meaning was connected to the forgotten protective rites. Wigilia dnia św. Łucji, noc czarownic – the Eve of St. Lucia Day (the night between the 12th/13th December), ‘the night of the witches’. In the Polish folk beliefs the night preceding St. Lucia Day (the evening of 12th December) was traditionally believed to be a night of the witches’ gathering, a ‘boundary’ time when the earthly and otherworldly realms are getting much closer. It used to be commonly known as the ‘night of the witches’. Snowstorms are a sign of the witches fighting for the power: for the leading role during the upcoming year. They are also coming close to the human settlements and it is extremely dangerous for both the people and the livestock to be outside on that night. It was forbidden for the kids or the young maidens to go out – the highlanders believed that they might get stolen. Mothers protected their newborns, often staying awake by their cradles for the whole night: their infant might be stolen and replaced with an odmieniec (changeling). People feared also that the witches could throw charms on their cattle: for example cows might cease to give milk (which is the main food resource among many highlanders, used for producing cream, butter and cheese that are vital for survival during the winter season). People protected their wood: if some planks were stolen, they believed that the witches would later use them to cast dangerous spells during the Christmas night. People believed that the places of the witches’ meetings on that night are certain geological points of unique features. For example, it could be a place where three streams are coming together (as believed in the village of Sołonka) or a clear-cut edge of a forest. It could also be a location where borders between certain clearly designated areas are relatively close to each other, like a field between two villages that are located not far one from another. People protected themselves in many ways. It was common to fasten thorns and protective herbs to the doorsteps of the houses and to the tresholds to the barns, and inside the buildings. It was extremely important to remember what kinds of herbs and in which locations did one leave the bundles: if there was something new, it meant a witch had sneaked into the property and left a cursed bouquet. In some areas the cattle was ‘bathed’ in smoke from garlands that had been blessed on the Day of the Divine Mother of Herbs earlier that year. Wise men and wise women were whispering calming speels to the ears of the livestock. Those beliefs were found among Polish villagers from numerous regions across Poland, but they were particularly vivid in the culture of the regions north to the ranges of the Tatra Mountains and some parts of the Beskidy Mountains, and a lot of tales about that special night survived in the folktales of the highlanders from the northern slopes of Babia Góra (meaning literally: Mountain of the Crones). Most of the Polish Górale (higlanders) living in those mountainous parts of southern Poland had a particularly strong belief in the ‘night of the witches’, shaped quite literally by the local geographical conditions. That night marked the time when the Sun starts sinking so low above the horizon that it hides behind the local mountains quite early in the afternoon and makes the night much longer for the local highlanders this way. The next day – 13th December – was seen as the best for divinations. For example, in many villages young girls were ripping off a cherry branch and putting it into a vase in their rooms. If the branch bloomed by the beginning of January, it was a good sign for the upcoming year: designating a marriage, prosperity or general success. The 12 days until Christmas were closely observed: each day predicted events or weather for a respective month in the upcoming year. 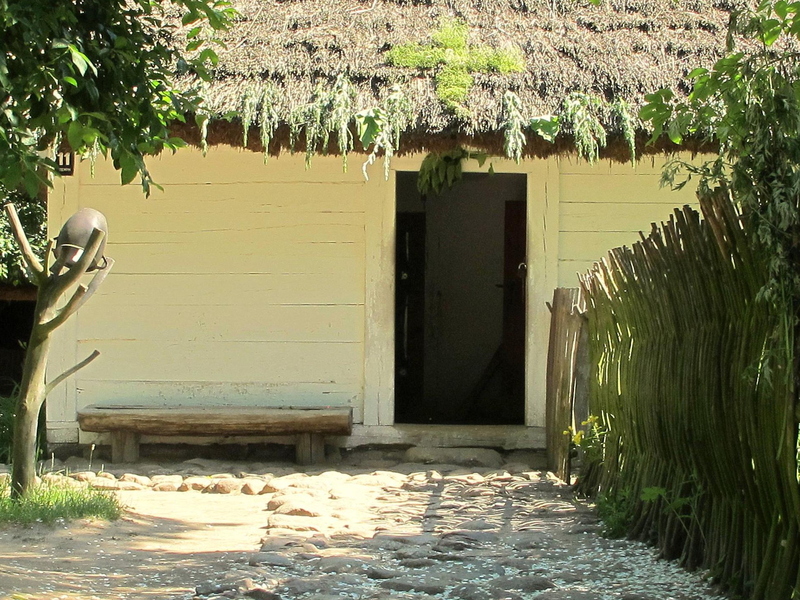 People in the old Polish countryside were very particular about maintaining certain rites and preparing protective accessories in their household and the whole farm enclosure. These customs stemmed from pre-Christian Slavic protective rituals, and – despite the centuries of influence of the Christian church – they survived in continuity for as long as the early 20th century in many parts of the rural Poland. The following informations I’ve translated for you are describing the old protective customs from the historical region of Mazowsze (Eng: Mazovia) located in the north-east parts of the central Poland. The same or very similar customs are common in other regions of Poland, as well as in many other Slavic countries. With the growth of the interest by the Polish people themselves in learning more about our pre-Christian Slavic mythology and faith, we can also observe a growing trend in exploration of the Slavic themes in various forms of art. In Poland that trend is persistent but remains quite subtle. It’s entering mostly the personal spaces but more and more often also the ‘commercial’ spheres. Take the success of ‘The Witcher’ franchise as an example, the game that is drawing so much from the rich Slavic folklore and mythology, or the ongoing short film project ‘Legendy Polskie’ with modern interpretations of Polish legends by Allegro (the biggest Polish online auction website) that featured the name of Perun and vivid Rodnovery symbolism in one of their most recent videos dedicated to Jaga (Baba Yaga – you can watch the video here, and don’t forget to turn on English subtitles). What I want to show you today is connected to the personal spaces – more precisely the human bodies. It’s the revival of the almost-forgotten traditions meeting the modern ways of self-expression. In the recent years many more of Polish tattoo artists are getting requests to create an artwork inspired by the Slavic faith or mythology. We can also see such fascinations across the other Slavic countries where popular Rodnovery symbols are being tattooed. 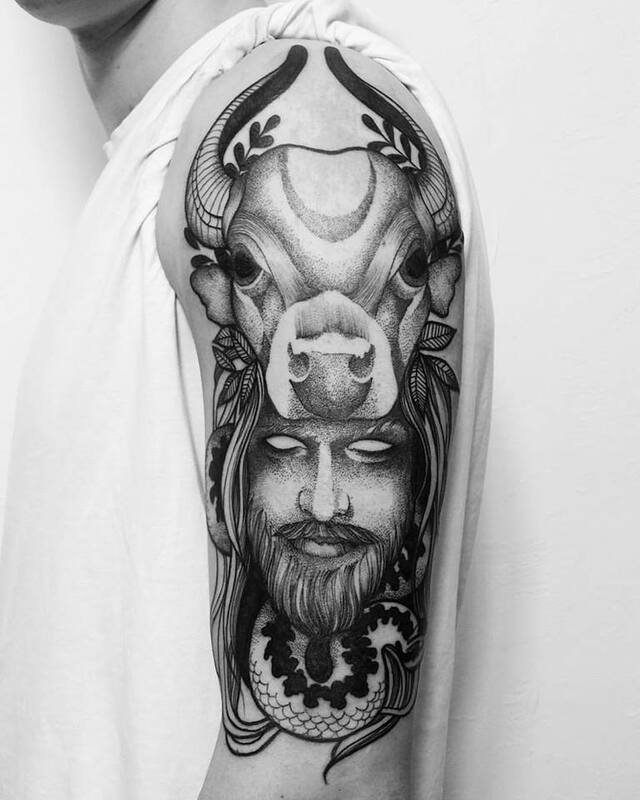 In Poland what’s been popular recently is beautiful and unique portraits of the Slavic gods or demons – unique personal intepretations of their appearance by the tattoo artists. What’s a better inlook inside the past world than the art? Today I want to take you back to the 19th-century Polish countryside (mostly the 2nd half of that century) and therefore I prepared a short selection of old Polish pantings created at that time. They are showing a range of scenes: the rural people at work and during their free time, their houses and travels, the agriculture, the inns, taverns or road houses, the beautiful nature. This gallery of paintings comes without my further description: you can just scroll down and look at the world the artists immortalized in that form. It can be amazingly inspirational to have such an inlook into the past, and many of the artworks provide a great range of references: the countryside’s daily fashion, the rural architecture against the landscape, the means of transport, the ways of interactions, activities and plays, and many other details. The paintings are sorted only by the names of the artists, and you will see various artworks painted from around the mid- to the late 19th century so pay a closer attention to the captions under each picture for more details. Enjoy! The Slavic mythology comes in many local subbranches: over the past centuries it was passed down and evolved in many different ways within the various corners of the lands inhabitated by the Slavic people. An excellent example of the local Slavic mythology can be found in northern Poland among the legends of the Kashubian people. Kashubians (Kaszëbi in their own language, or Kaszubi in Polish) belong to the branch of the West Slavic people. Many of them still speak the Kashubian language that is closely related to Polish, and both those languages belong to the group of the Lechitic languages. Kashubians are sometimes referred to as the last group representing the Baltic Slavs (Slavic people along the shores of the Baltic Sea) or Pomeranian Slavs (Pomerania, also: Pomerelia, was a Latin name for the region called ‘Pòmòrskô’ in Kashubian and ‘Pomorze’ in Polish, both coming from Slavic ‘po-more’ meaning an area ‘by the sea’). In the Kashubian legends many curious informations about old gods and mythological creatures survived over the centuries. The ethnographers interested in the Kashubian culture managed to gather materials about c. 32 gods and c. 93 spirits, demons and other mythological creatures in which the rural Kashubians still believed around the turn of 19th/20th centuries. Sadly, due to the historical conditions when the Kashubian culture faced erasure over the past centuries (it’s the only fully surviving dialect of the group of Pomeranian Slavic languages) some informations come without important details like the names – a lot of the mythological gods and creatures are only nameless shadows of the old lore. However, there are still many names that can be properly described. 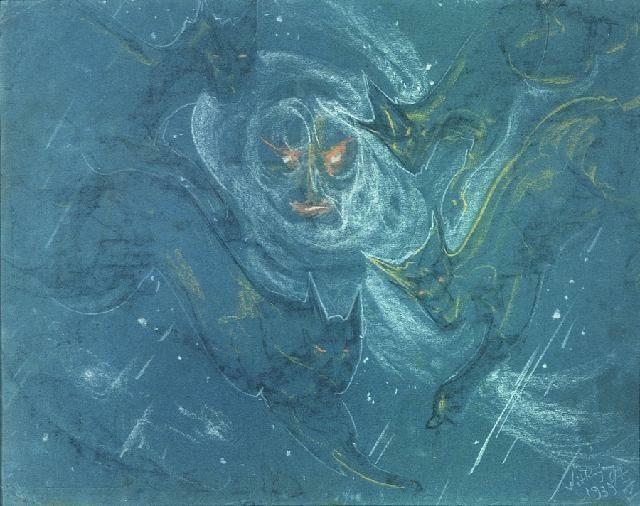 There are both good and bad gods and spirits in the Kashubian mythology. Just like in the case of the other Slavic mythologies, the majority of gods are ‘good’ ones, favorable to the people, while the majority of the spirits represent the dangers lurking in the dark. What’s characteristic for the Kashubian mythology, there are a few unique characters in their lore which reflect the geographical conditions of the Kashubians as the people inhabitating a strip of land on the southern shores of the Baltic Sea and working as sailors or fishermen. As always in the cases of ‘local’ mythology, some surviving names might’ve been distorted over the long centuries, some might’ve been influenced by the centuries of Christianity, or might represent a worship of Slavic lesser gods of only a local character, not known in the other parts of the Slavic lands. These kinds of details remain a mystery to be unveiled. Some of those names might already ring a bell for those of you who know them from the other Slavic langaugesin a different spelling (with a strong focus on the spelling of names from the related Polish mythology). What’s also important to mention for me as the writer trying to translate the informations for you, I must stress out here that some of the names don’t have a ‘standardized’ form in the Kashubian language (which itself has a few dialects), and some of the names I’ve found only in a Polish spelling. There’s still much to research even for me. Not to prolong my introduction further (feel free to ask questions below), here I’m presenting you a list of a selection of figures from the Kashubian mythology. The list is randomized, and I tried to show here only those figures that can be described with at least a few words about their traits. Some names are illustrated by various Kashubian and Polish artists which I’ve found online (see the respective credits under each of the pictures). My blog tells about the mysteries of the Polish folklore, customs and mythology, with a strong focus on those elements where the old 'pagan' beliefs were carried on. To read more, please check my 'about' page. Feel free to leave a comment, and to ask questions or request more informations about a certain topic. For asks or informations about quotation of my articles, please send me a message to lamusdworski [at] gmail [dot] com. Please type in your e-mail in order to get updates about new posts.